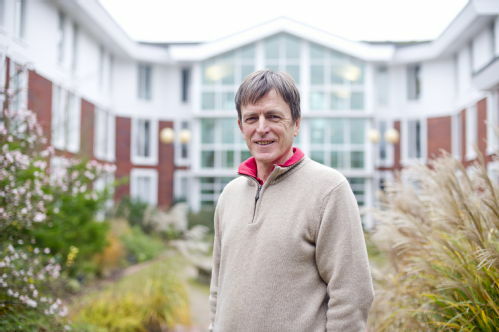 Alan joined IER in 1996 and from 2002 - 2009 was Associate Director of the ESRC Teaching and Learning Research Programme (TLRP) with responsibility for workplace learning and professional learning. My interests focus on career development; changing work-related identities; career adaptability (ability to make successful transitions and perform effectively in a range of contexts); workplace learning; learning processes (e.g. coaching and supporting the learning of others); learning across domains (practical; cognitive and affective); and computer-supported collaborative learning. I am involved in a European project (EmployID) working across a number of these areas. Previously Alan was a researcher at Chelsea (now King's) College, University of London; Tavistock Institute for Human Relations; and Department of Educational Studies, University of Surrey. Bimrose,J. , Brown. A., Mulvey, R., Kieslinger, B. and Dewanti, R.T. (2019) Transforming identities and co-constructing careers of career counselors, Journal of Vocational Behaviour, Volume 111, April, pp 7-23. Brown, A. (2016). Career adaptability and attitudes to low-skilled work by individuals with few qualifications: ‘getting by’, ‘getting on’ or ‘going nowhere’. British Journal of Guidance & Counselling, 44, 2, 221-232. DOI: 10.1080/03069885.2016.1145196. Brown, A. (2015). The Role Of Career Adaptability And Flexible Expertise In Developing Individual Innovative Behaviour. In H. Shipton, P. Budhwar, P. Sparrow & A. Brown (Eds). Human Resource Management, Innovation and Performance, Chapter 16, pp. 249-265, London: Palgrave Macmillan. Bimrose, J. and Brown, A. (2015). Career decision making and career adaptability. In K. Maree and A.Di Fabio (Eds.) Exploring New Horizons in Career Counselling: Turning Challenge into Opportunities, pp. 249 - 262, Rotterdam: Sense Publishers. ISBN Paperback: 9789463001526. Brown, A. (2015). Developing Career Adaptability and Innovative Capabilities Through Learning and Working in Norway and the United Kingdom. Journal of the Knowledge Economy, 6, 2, 402-419. DOI 10.1007/s13132-014-0215-6. Brown, A. & Bimrose, J. (2015). Identity Development. In Hartung, P. J.; Savickas, M. L.; and Walsh, W. B. (Eds), (2015). APA handbook of career intervention, Volume 2: Applications. APA handbooks in psychology., (pp. 241-254). Washington, DC, US: American Psychological Association, ix, 565 pp. CEDEFOP (2014) Brown, A., Bimrose, J. and Merrill, B. (eds): Navigating difficult waters: learning for career and labour market transitions, Research Paper 42, Thessaloniki: CEDEFOP. Bimrose, J., Brown, A., Holocher-Ertl, T., Kieslinger, B., Kunzmann, C., Prilla, M., Schmidt, A. and Wolf, C. (2014) The Role of Facilitation in Technology-Enhanced Learning for Public Employment Services. International Journal of Advanced Corporate Learning, Vol. 7, No. 3, pp. 56 - 63. Hippach-Schneider, U., Weigel, T., Brown, A. & Gonon, P. (2013) Are graduates preferred to those completing initial vocational education and training? Case studies on company recruitment strategies in Germany, England and Switzerland. Journal of Vocational Education & Training, Vol. 65, Iss. 1, 2013 , pp. 1 - 17. A fuller list of selected key publications. Mohd Onn Rashdi Abd Patah, Developing a career in the Malaysian hotel industry: A narrative analysis of the career experiences of local middle managers. Olga Siemers, Skills for here or to take away? Analysing the career trajectories of mobile PhD graduates in Europe.